Nordstrom headquarters is located in Seattle, Washington and 123 retail locations operating throughout the United States, Canada, and Puerto Rico. The retail company was founded by John W. Nordstrom and Carl F. Walin in 1901 selling shoes through retail locations. Later the company expanded as a large departmental store selling a wide array of products that include- jewelry, clothing, handbags, cosmetics, fragrance, home furnishings and more. Customers can contact the headquarters support team for assistance with products and other support. Moreover, individuals who are seeking a career at Nordstrom must feel free to visit the headquarters or contact through the telephone. Scroll down to find a detailed information of the Nordstrom headquarters. Step 1– Customers can access the live chat support using the live chat window. Click here Link to access the chat page. Step 3– Once you have provided the following information click on the “Start Chat” button found at the bottom of the web page. 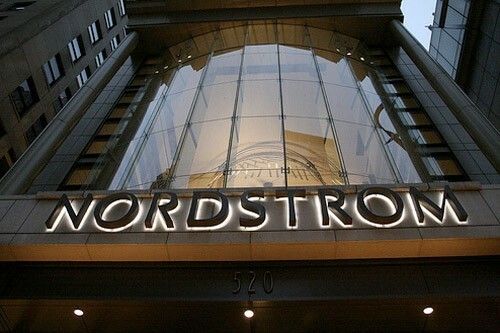 Step 1– Customers who are willing to access Nordstrom must go to the sign in page. Step 2– Once the webpage opens you will find a section labeled “Sign in your existing Nordstrom Card Account”. Provide your Username and Password in the blank spaces and you are ready to go. Looking for more Nordstrom Bank services? Call our Customer Service representatives at 1.866.491.7860. The customer help desk is available 24 hours a day and all seven days a week. Customers can complain through Twitter or seek support through other social media platforms. Click on the links provided below to find Nordstrom on social media.